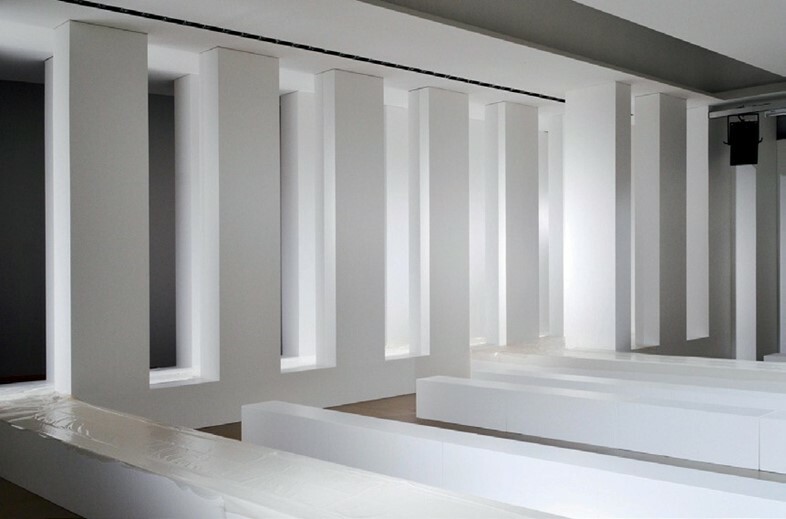 If you’re ever looking for a compelling argument against the miniaturisation of the fashion show – with its blurry instagrams and endless tweets – and for the continued preservation of the widescreen live spectacle of the runway, consider this single image from the recent SS13 Louis Vuitton presentation: models dressed in Marc Jacobs’ geometric silhouettes, descending in pairs (a nod to Diane Arbus’s photographs of twins) down a gleaming bank of escalators that empty out onto a giant tessellated yellow-and-white-checked runway. A world away from the romantic nostalgia of last season’s steam trains, the graphic modernism of the set hit upon the season’s themes as well as scoring Jacobs another critical success. It’s a far cry from over a century ago, when British designer Lucile (aka Lady Duff-Gordon) popularised fashion shows as we know them today, organising biannual presentations of her clothes in Europe and America at which models would slowly parade up and down the catwalk while a lone voice intoned the specifics of each look. 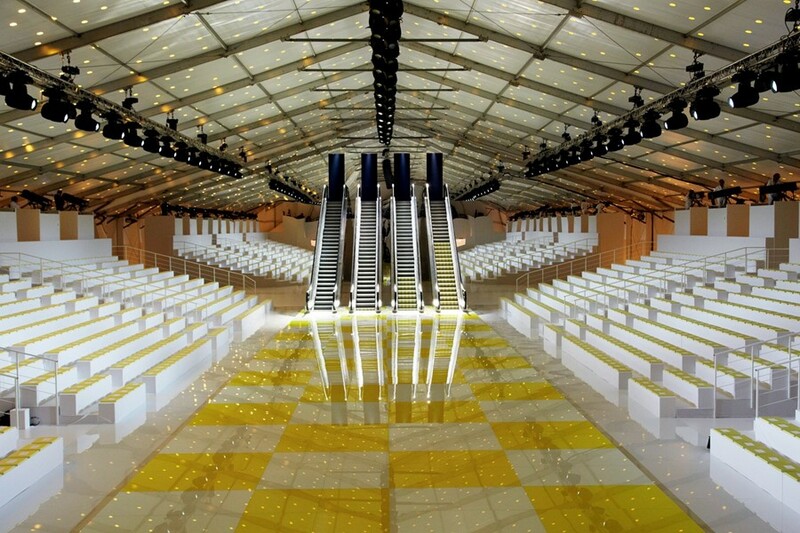 In the last 20 years, the concept of fashion shows has evolved from mere tradeshow mechanism to something approaching an artform. They can take anywhere from three days to six months to execute, at times involving hundreds of craftsmen, all to create 12 minutes of alchemy that, at their finest, can make us dream of ourselves in clothes and make the fashion experience come alive. The best shows are a highly concentrated collision of theatre, emotion, explosiveness and, often, good old-fashioned spectacle. Against all odds, designers and scenographers strive to preserve and inspire a sense of wonder and enchantment. Work begins on the set virtually in parallel with the design of the collection, so “each one amplifies each other. We create a concept both geometrically or through scenography that they can react to. There’s always the intention to wrongfoot the visitors – to make something not completely clear or evident at first glimpse.” Prada’s AW12 men’s show was a case in point. A film-star-studded cast of the likes of Adrien Brody and Gary Oldman strode across a giant red carpet like pawns in a real-life chess game – Ms Prada’s meditation on “male power”.